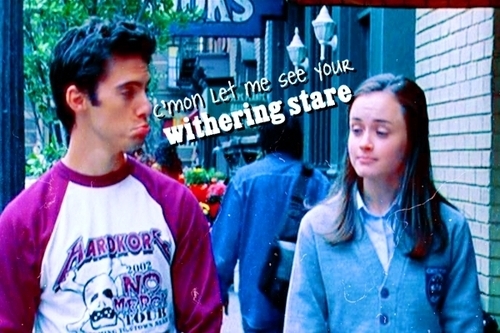 Rory and Jess. . Wallpaper and background images in the Rory and Jess club tagged: jess rory gilmore girls alexis bledel literati milo ventimiglia. This Rory and Jess fan art might contain desgaste de ocio, ropa de ocio, prendas de vestir exteriores, overclothes, prendas de abrigo, ropa de abrigo, manchó, dashiki, and daishiki.